From left, Grandmaster's son Matthew, the late Rev. 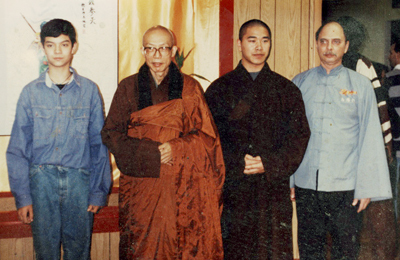 Chan Master Sheng Yen, Master Gwo Lin of the Shaolin Temple, and Grandmaster. Taken in the 1990s.